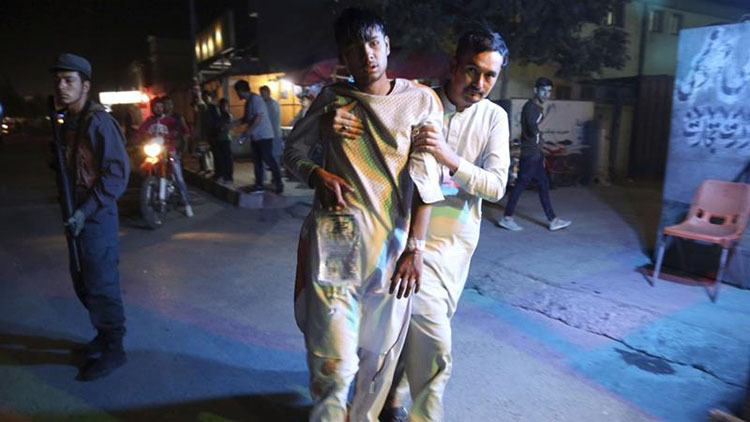 Twin bombings at a sports club in Kabul on Wednesday killed at least 20 people and wounded 70 others, the latest in a spate of deadly attacks in the Afghan capital. No immediate claim of responsibility was made for the blasts in Dasht-e-Barchi, home to many members of the mainly Shia Muslim Hazara ethnic minority that has been targeted in the past by members of Islamic State of Iraq and the Levant (ISIL). 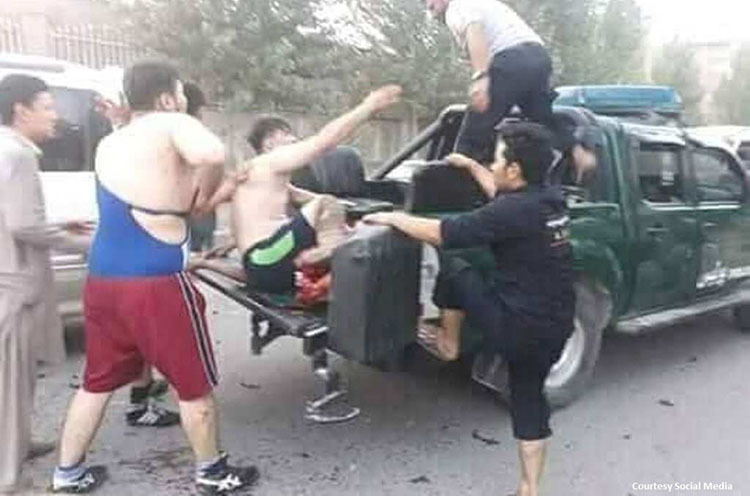 Images taken at the scene showed young men in torn wrestling kit helping the wounded onto vehicles to be taken to hospital. The first explosion was triggered by a suicide bomber and was followed by a car bomb shortly after, said interior ministry spokesman Najib Danish. Afghan President Ashraf Ghani condemned the bombings. "An attack on civilians and media workers of the country is an attack on freedom of speech and crime against humanity," he said in a statement. A reporter and cameraman from Afghanistan's largest broadcaster, Tolo News, were killed in the second blast and four other local television crew were wounded, according to NAI, a group supporting open media in Afghanistan. Kabul police spokesman Hashmat Stanekzai said the second explosion hit as police were helping victims and a number of officers were wounded. Al Jazeera's Jennifer Glasse, reporting from Kabul, said the second bomb appeared to target first responders and journalists. 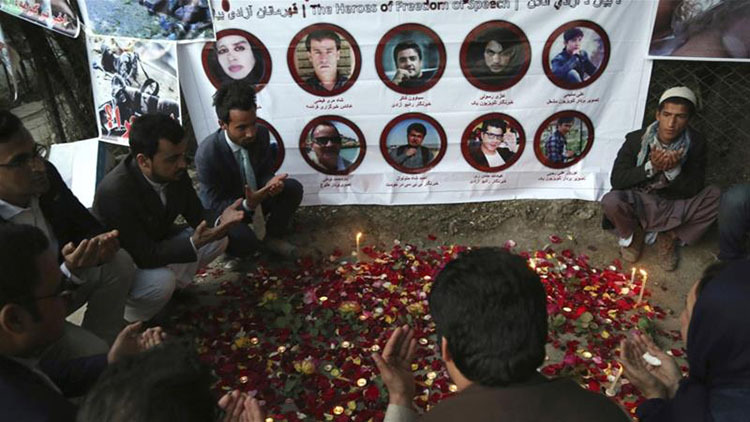 "It has been a very deadly year here for journalists and for Afghans alike," Glasse said. 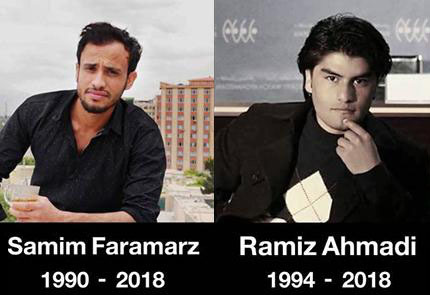 On April 30, twin explosions in Kabul killed nine media workers and 16 other people. Wednesday's attack underlined the danger in Kabul as elections approach next month, as well as the threat facing the Hazaras - a Persian-speaking minority that has long faced discrimination. In mid-August, at least 34 people were killed in a suicide attack in front of an education centre in Dasht-e-Barchi, west of Kabul. ISIL - which has established a brutal reputation and which both the Western-backed government and the Taliban consider an enemy - claimed responsibility for that bombing.